This dish is a delicacy in my country. It is served only on special occasions. 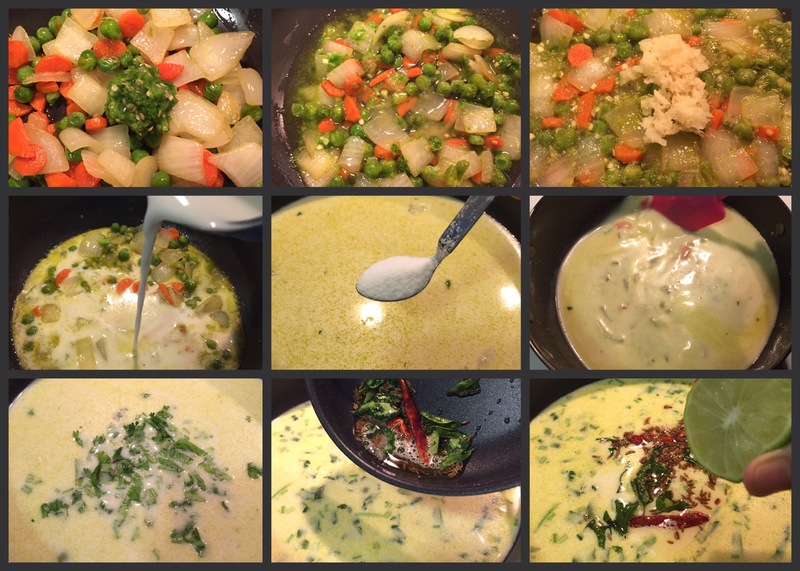 The rich and flavorful nature of this curry makes it such a taste bud pleaser. In South India this dish is called Sodhi, it’s either served with steamed rice or rice noodles which is called Idiappam. 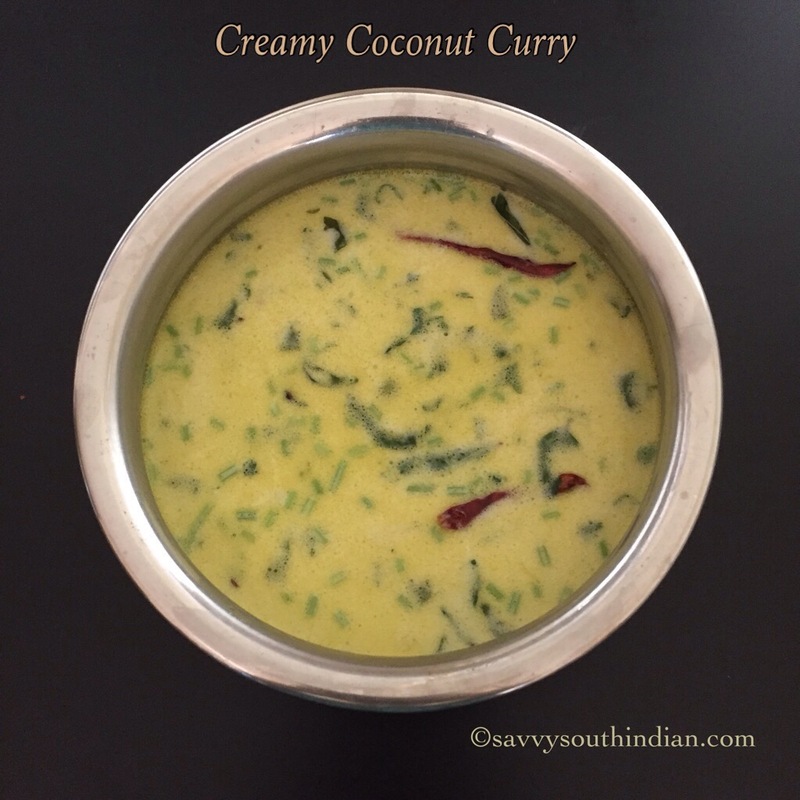 It’s creamy, spicy and tangy which makes it absolutely delicious! 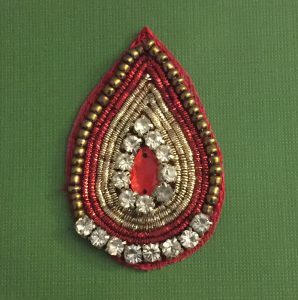 In south India weddings are a three day event, on the third day there is feast for the closest of friends and family from both the bride and the groom’s side. The star of this feast is this coconut curry, it is specially served as a way of thanking the people who helped to make that wedding a flawless event. This dish is also served for house guests on their last day of stay with an intent that they should leave your house with a good note and a content heart and a feeling that they are welcome anytime, which makes them feel special and they will always remember you as a good host. Nowadays it’s very easy to buy coconut milk form a store. But back then, this process used to be time consuming and it took a lot of effort. That’s why this dish was reserved for special occasions. Now add the chili garlic paste , quickly sauté it for just a second then add 1/2 cup of water and let the veggies cook. 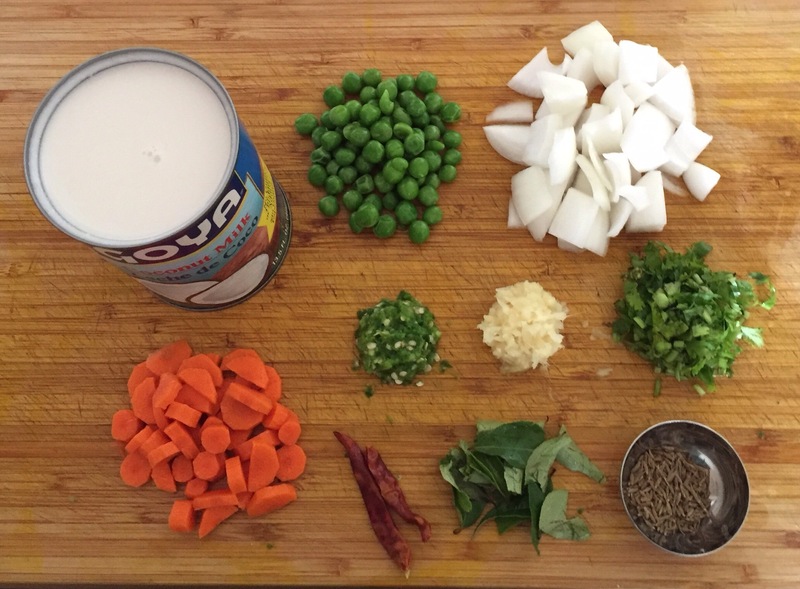 I like to keep this curry in a soupy consistency since we are serving it with the noodles. Heat couple of teaspoons of oil add the cumin seeds once it’s toasted add the whole red chili and the curry leaves , pour it on top of the curry. The chili doesn’t make it spicy but it gives a wonderful aroma. Oh my ! I wish you could smell this curry, the aroma of ginger, garlic and lime makes it extremely flavorful. 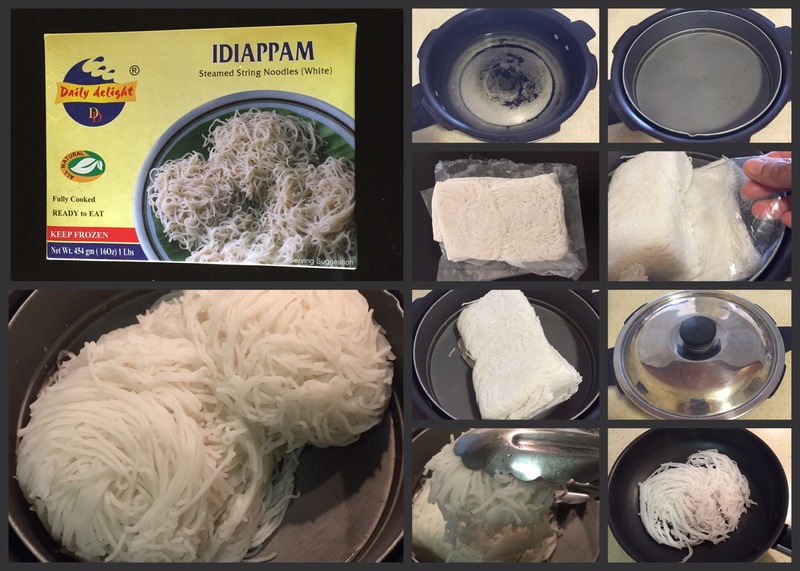 The rice noodles which is called idiappam in south India is made by mixing rice flour, warm water, salt and a little bit of oil and cook it by stirring constantly, once it’s cooked it forms a thick dough then it’s pressed through a special gadget into this thin noodles. It becomes so fluffy and comes out in nice round layers which is very easy to serve. Now take a spoon a slurp it away ! 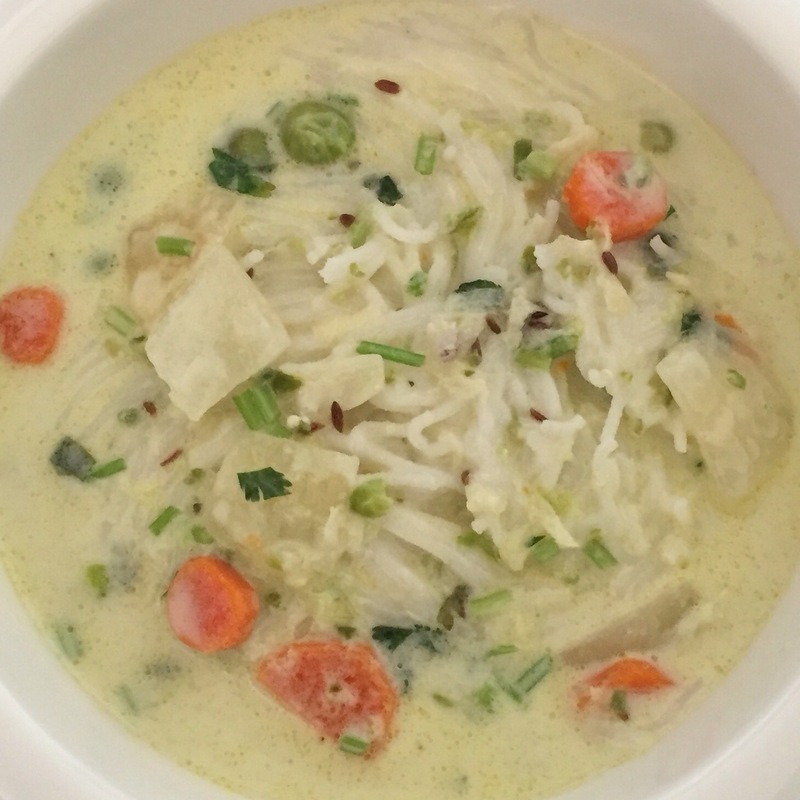 Mmm… the noodles are soft and yet has a bite, the coconut milk is so creamy and sweet, the ginger, garlic and chili makes it spicy, the lime juice adds a nice tangy note and the aroma of coriander when you sip this curry is unbelievable. What can I say , it literally pleases every single taste bud in your mouth. It is absolutely the most delicious curry I have ever made. This is my family’s favorite. It is so satisfying and comfort food at its best. 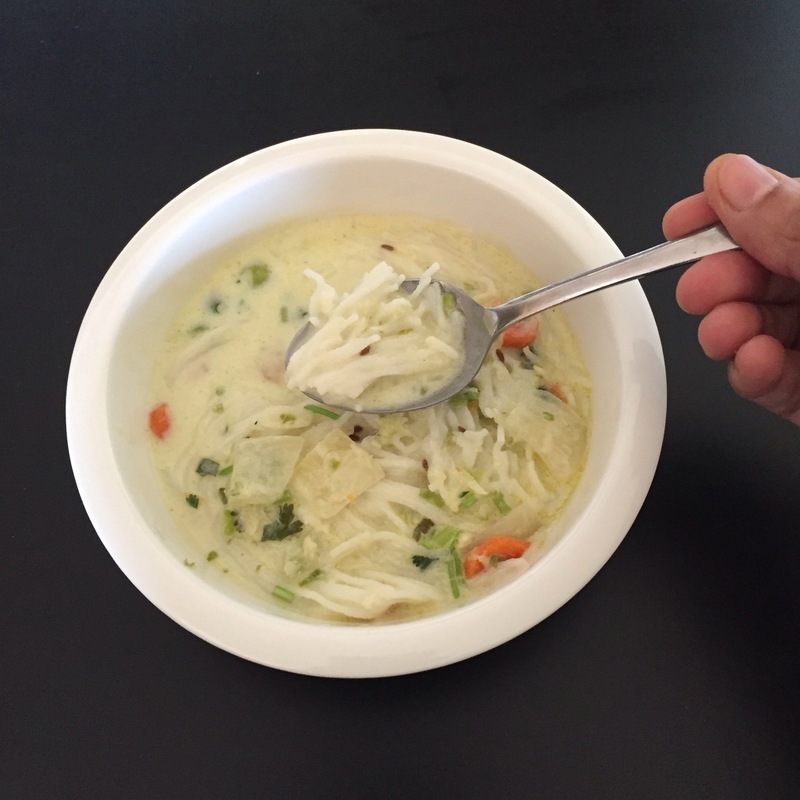 Even though the recipe is simple and easy to make it is indeed a very special dish. Hope you all enjoy it too ! 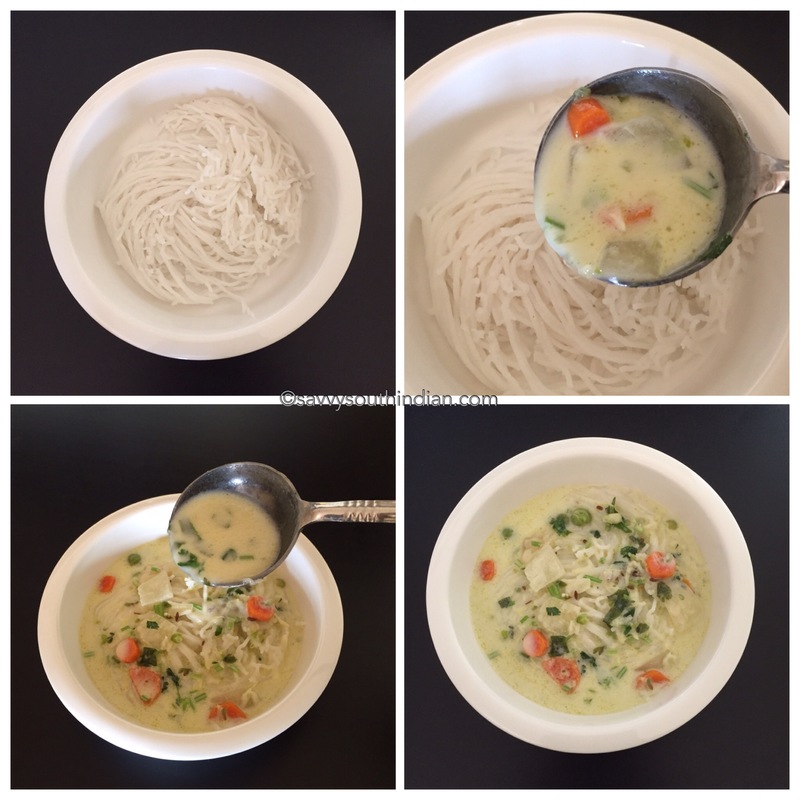 Instead of frozen noodles you can use the dry rice vermicelli noodles or glass noodles. Please note it has vinegar in it so you can eliminate the lime juice otherwise it becomes so sour. You can add a teaspoon of garam masala or mild curry powder to make this curry taste even better. Wow that colour makes me drool!! We are die hard fans of Idiyappam and Sodhi !!! Thanks for this delicious post !! !